If you have crooked, overcrowded or gapped teeth and want to align your smile quickly, then consider the safe and award-winning Fastbraces. With this efficient technology, you can get a straight, beautiful smile in a relatively short period of time. Traditional braces are typically square-shaped and usually shift the crown of the tooth in the first year of treatment. In the second year, the tooth root moves towards its final place. The primary benefit of Fastbraces is that it gently permits the roots of the teeth to move towards their ultimate position from the beginning of treatment. That’s why you may achieve the results you want quicker than other orthodontic alternatives. Did you know that Fastbraces costs approximately half the price of traditional orthodontic treatment? Its affordability allows budget-conscious individuals to align their teeth with a high-quality system. With Fastbraces, usually only one orthodontic wire (made from elastic square nickel-titanium) is needed from start to finish; conversely, conventional metal braces typically use a series of wires and require numerous tightening appointments. Conventional braces that include metal brackets and wires might be uncomfortable. Thanks to the bracket system used with Fastbraces, the wearer may experience much less discomfort. 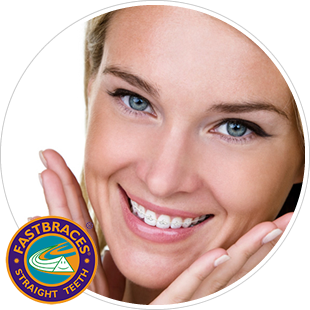 One of the best benefits of Fastbraces is minimal retainer wear is required. After your treatment is finished, you will need to wear your retainer each night during a typical 8-hour sleep period or just in the shower for 20 minutes a day. Within a year, you may only need to wear your retainer for just 15-20 minutes each day. Experience the confidence-boosting effects of having a straight smile. Contact Rouse Hill Smiles in Rouse Hill to talk about whether Fastbraces is right for you! We are open on the weekends for your convenience.